APRIL 1, 2019 - MAY 21, 2019 * 2 NIGHTS FOR THE PRICE OF 1 = $140.00 plus tax * Stay two nights in a 2 queen standard room * Get a buy 1 get 1 free Revere's Lounge drink coupon. ( Lounge closed Sunday and Mondays. ***Reservation must be booked directly to hotel. Must mention Spring Special /chamber at the time of booking. No other discounts apply. On line reservations will not be accepted or changed. Upgrades available for a $20.00 per night. 715-356-1800 or 1-800-356-8888. 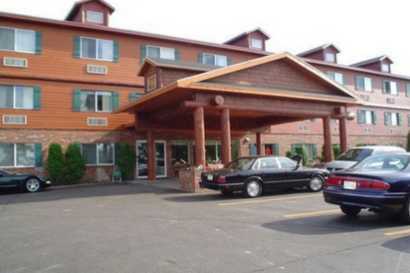 Hot Tub Lounge Indoor pool Hot Continental Breakfast Newly remodeled rooms. Walking distance to Restaurants and shopping. Come relax with us. We look forward to seeing you soon.